20.11: This will kick off a scan across the entire environment. As there are two different sites with separate Update Manager Servers the above steps will need to be carried out there also. 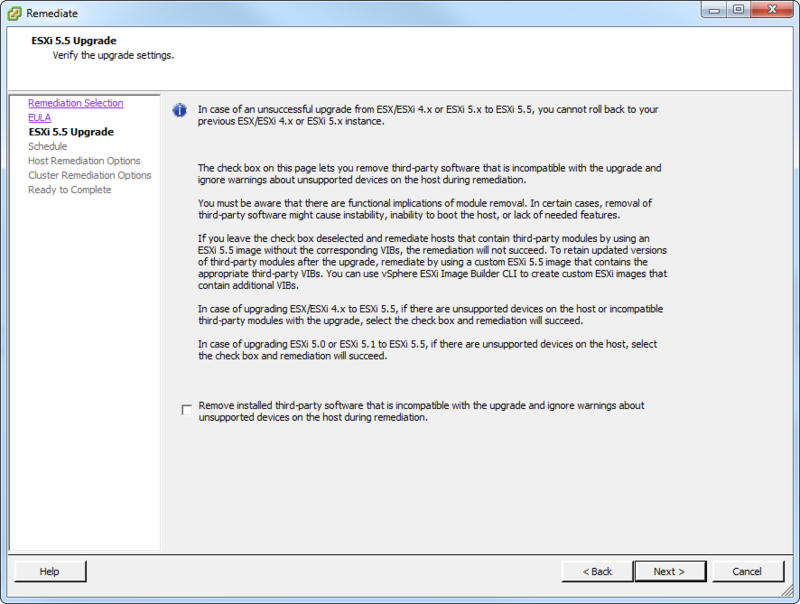 20.14: Once the host is rebooted re-run the Update Manager scan. Compliance will now show Non-complaint rather than Incompatible. 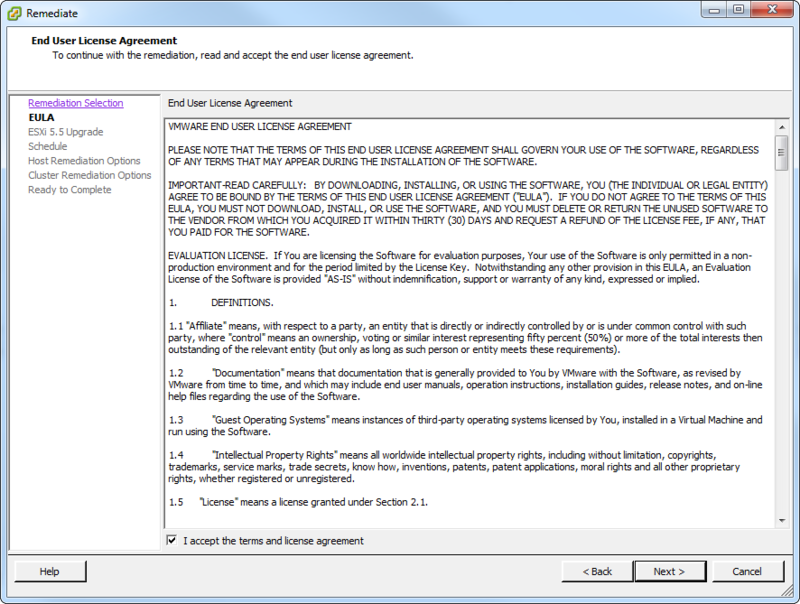 20.18: Select remove incompatible third-party software if needed. 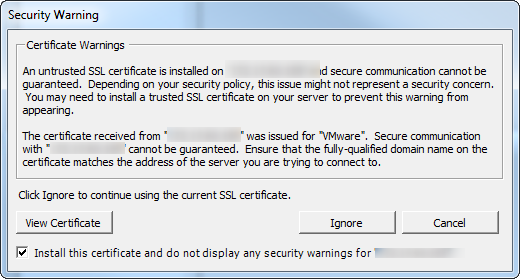 Double-check what VIBs are installed on your hosts before upgrading. Click Next. 20.23: A new remediation task will begin. 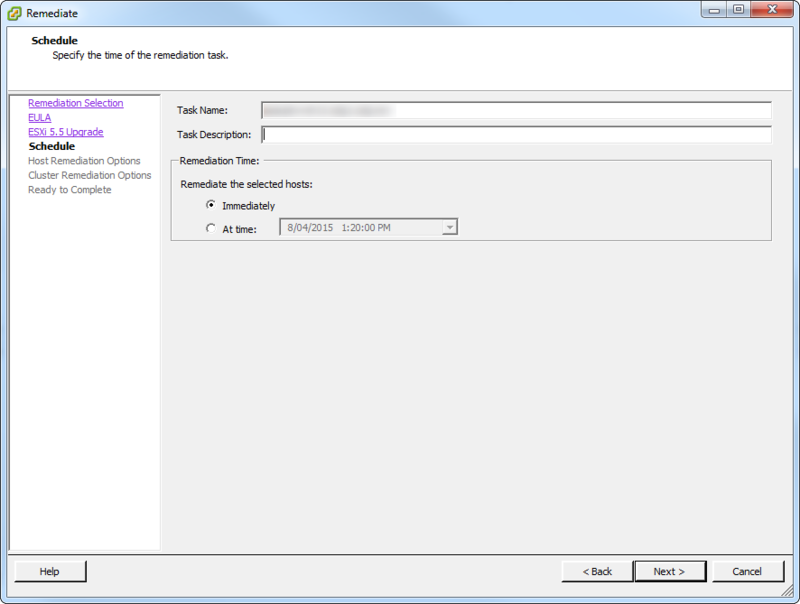 20.24: Keep an eye on the remediation in case there are any alerts that appear. 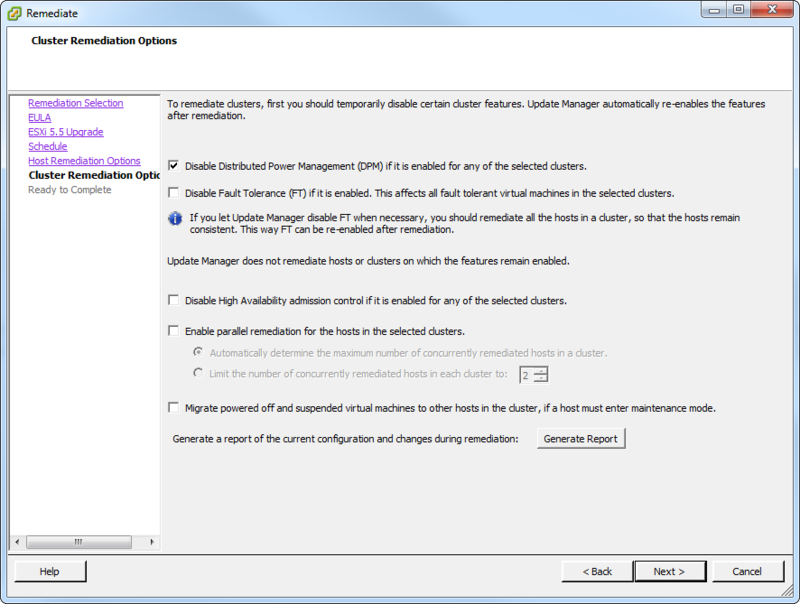 Once the remediation has completed Update Manager will show the host as being compliant. 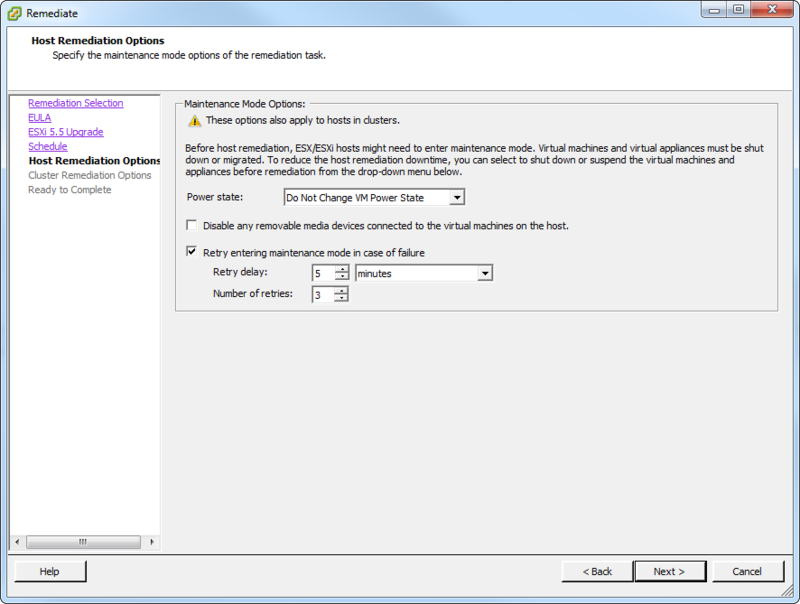 20.25: Exit maintenance mode and migrate some VMs back onto the host. 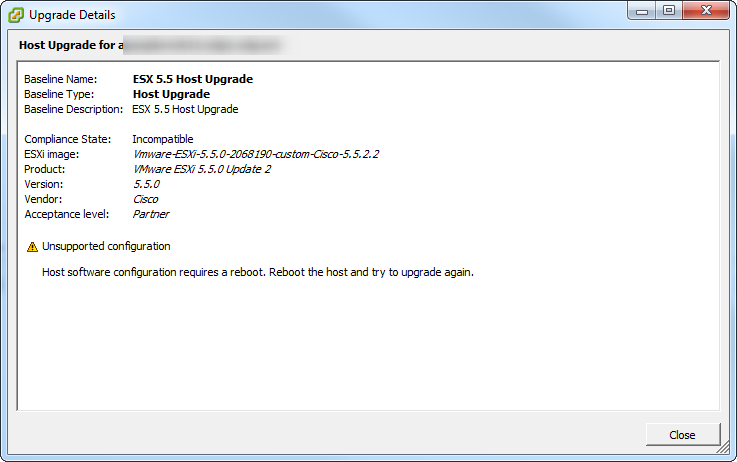 Follow the same above steps on all the remaining ESXi hosts. 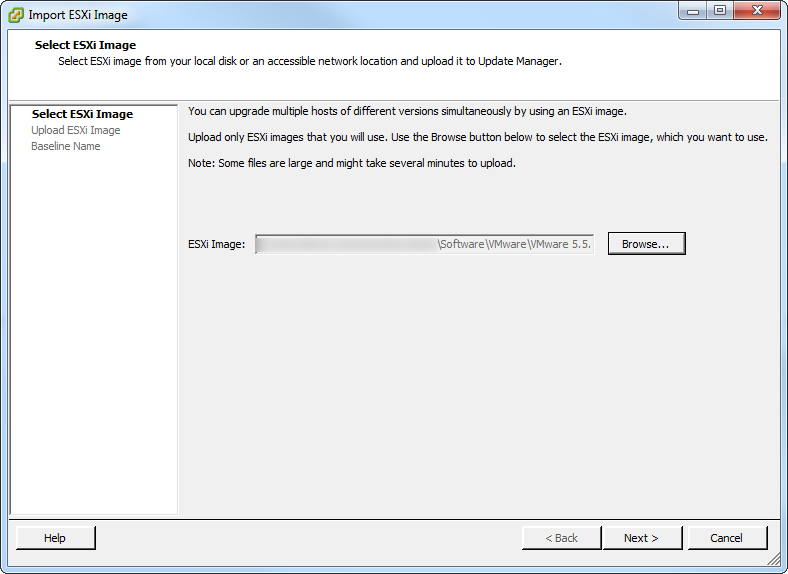 21.1: Once the ESXi hosts have been upgraded you can then upgrade any dvSwitches. Go to Networking and select the dvSwitch. Check the version number. 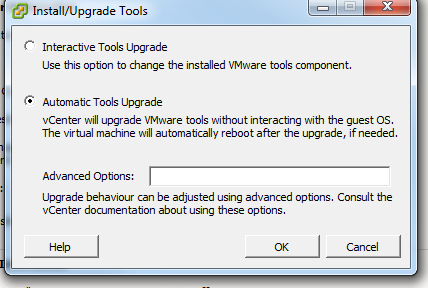 If it’s a previous version to the current version of vCenter it will ask for an upgrade. 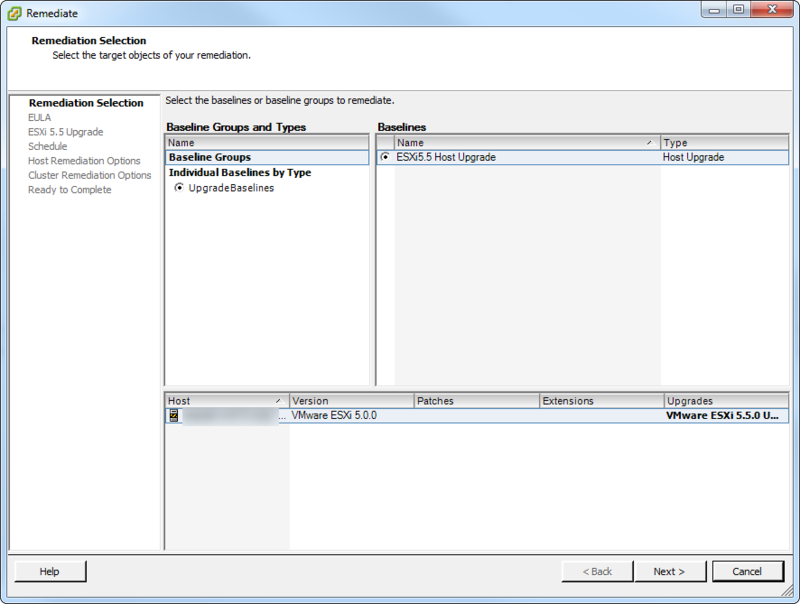 The ESXi hosts need to be upgraded first so now is the time to upgrade the dvSwitches. 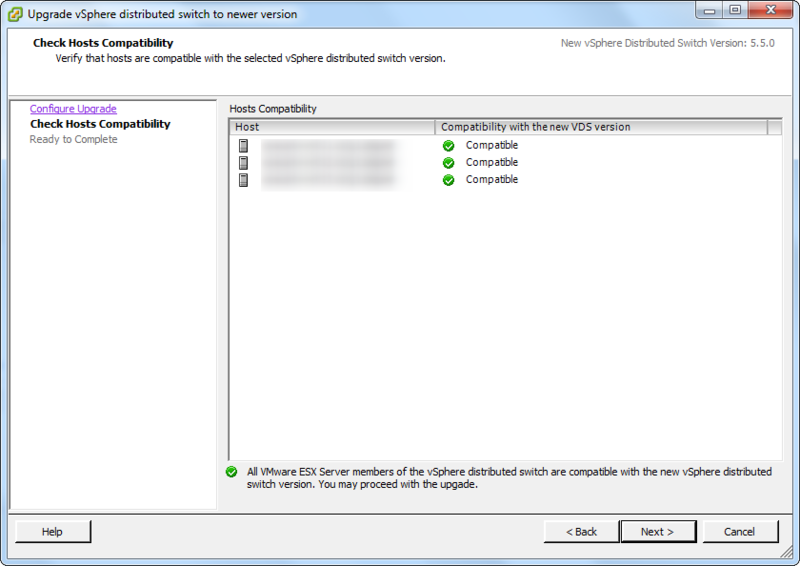 21.2: Select upgrade and select vSphere Distributed Switch Version: 5.5.0. Click Next to continue. 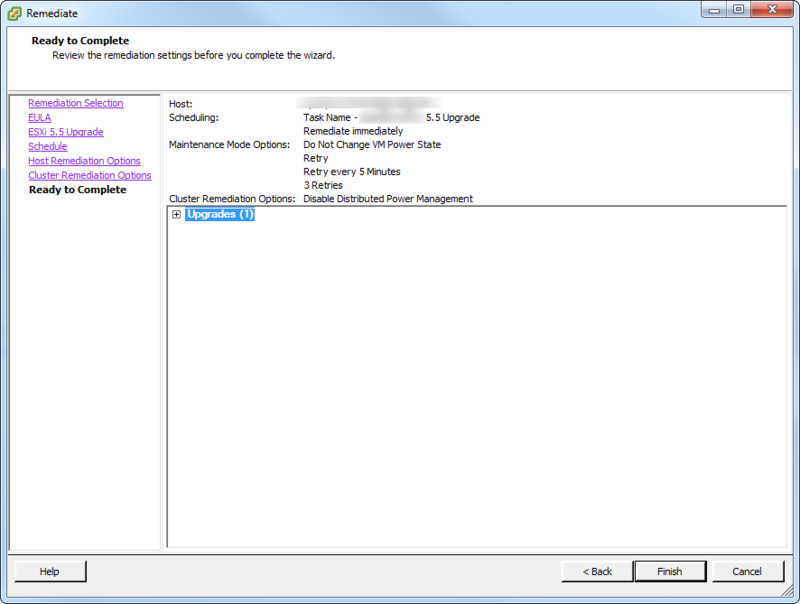 21.3: The hosts are checked for compatibility. Once they get the all clear click on Next. 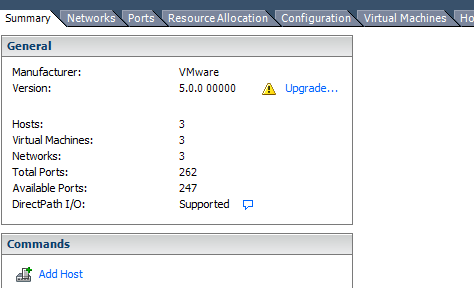 22.1: You can view the VM Version and tools status from the top cluster view. If the tools are out-of-date they will need to be updated. 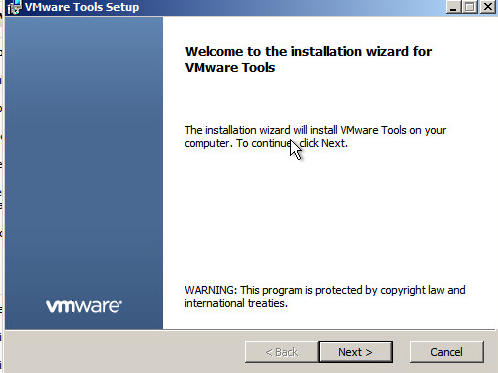 22.2: Open a console session and select VM-> Guest -> Install/Upgrade VMware Tools. 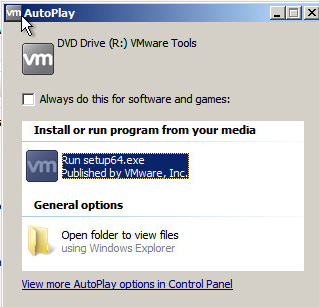 22.7: Click Next and then click Finish to complete the install. You may be asked to reboot the server, most likely you will have to. Congratulations!! You’ve now completed all steps of the upgrade. 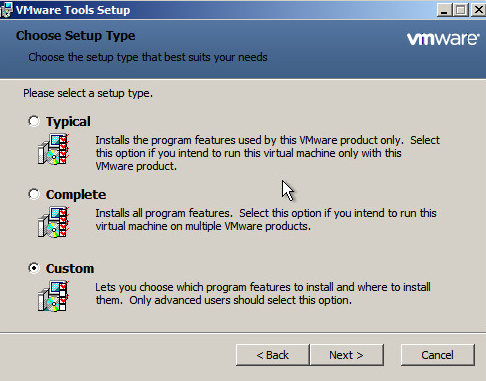 You can choose to upgrade the hardware version of the VMs as well. In my case it was decided due to the nature of some of the VMs the benefits they would get from the hardware upgrade it was decided to leave that upgrade component until a later date. 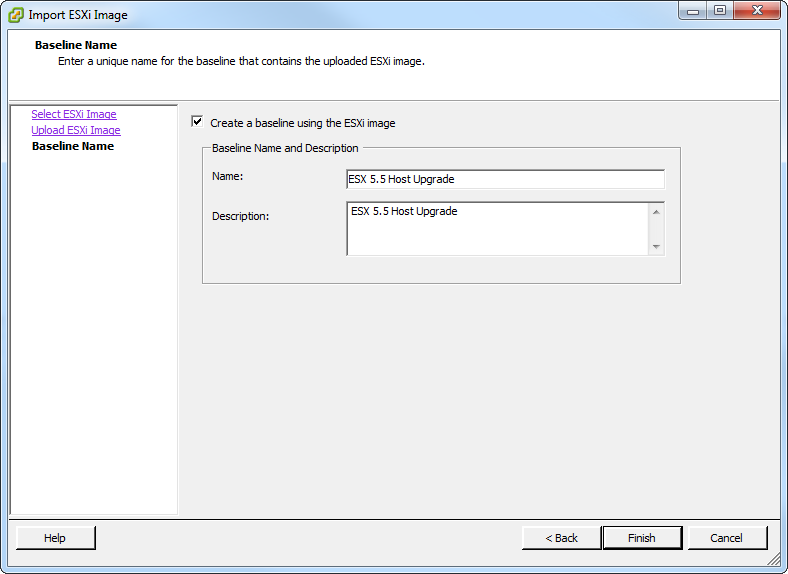 This entry was posted in How-To, SRM, vCenter, VMware and tagged ESXi, SRM, Upgrade Manager, vCenter, VMware, VMware Tools, VMware Upgrade. Bookmark the permalink. Best Guide on the net, I’ve been looking for days and this is by far the best guide I’ve come across. Thank you for the indepth installation review, this was very useful!